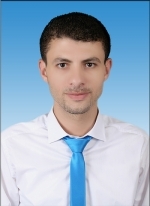 Adel graduated in January 2008 with a first-class honours degree in Physiotherapy from Misr University for Science and Technology. Through his clinical work, he developed a strong interest in Neurological Rehabilitation specifically motor learning. In 2016, he was awarded the degree of master of Science in Physiotherapy (Neurorehabilitation) with merit from the University of Nottingham. Adel received the Elphinstone PhD scholarship award in October 2016 and joined the Health Services Research Unit in February 2017 as a PhD student with Trial Forge under the supervision of Prof. Shaun Treweek. His project aims to improve efficiency of clinical trials, with central focus on how to develop, describe and report evidence-informed recruitment and retention strategies. Clinical trial methodology, Efficiency of Clinical Trials, Patient Recruitment & Retention , Health Services Research, Patient Decision Making, Evidence-Based Healthcare, Systematic Reviews and Research Waste. Adel's research looks at the best way to avoid recruitment and retention problems in complex intervention trials. The project is divided into three phases: 1- Systematic review and meta-synthesis will be conducted in the first 9-12 months to highlight qualitative research undertaken to improve recruitment and retention to randomised controlled trials at the feasibility stage. 2- Surveys and in-depth interviews with key stakeholders in clinical trials research (CTU directors, statisticians, chief investigators) will be conducted through telephone, skype or face-to-face sessions, predominantly in the UK to explore their experiences of running feasibility studies, particularly with regard to their recruitment and retention strategies. 3- Brief questionnaires and semi-structured interviews will be conducted to explore how teamwork influences recruitment to a multicenter RCT involving interventions delivered by different clinical specialties. Together these three phases will not only collate what is known about how to best use, and get the most from qualitative research during trial feasibility studies but will also package this information into guidance on how to develop, describe and report evidence-informed recruitment and retention strategies.